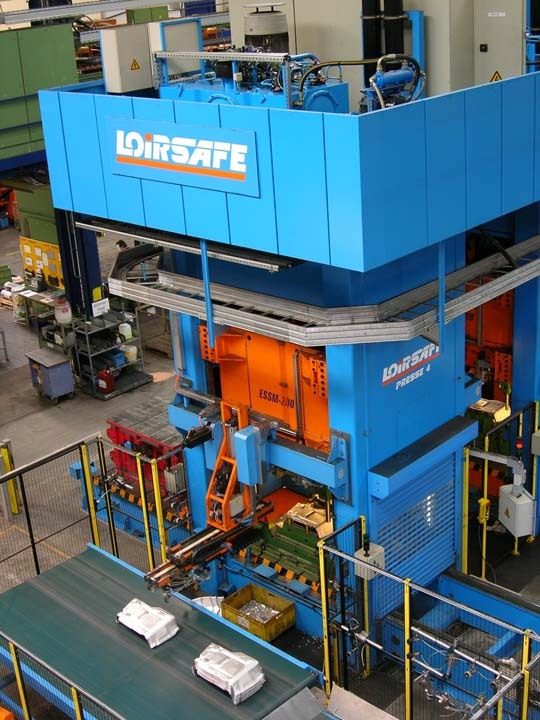 These types of presses (Deep Drawing Presses) transform the untreated material into shaped parts which are ready for use by applying pressure from the press and its different components. 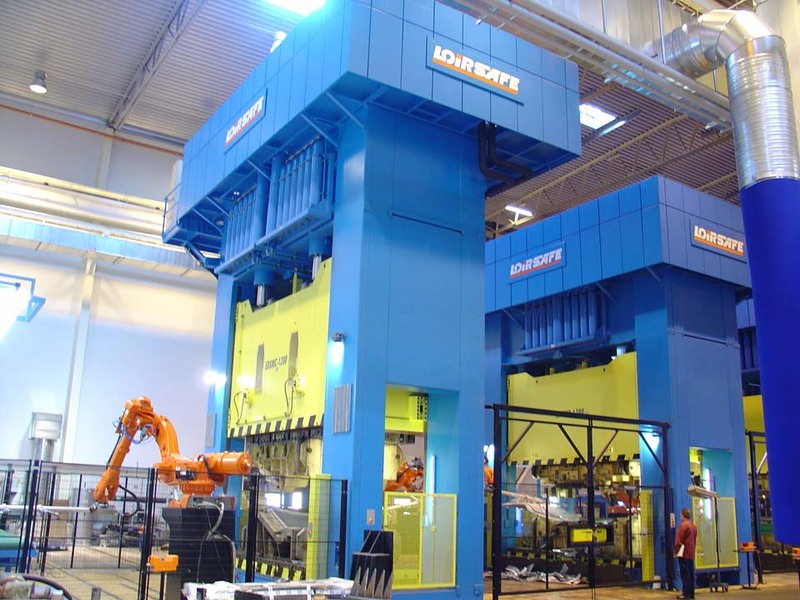 We are experts in the design, production and operation of cold stamping lines such as G1 and G2 production lines of turnkey parts with completely automated hydraulic presses and their equipment: bolsters, damping device, automatic die clamps, scrap disposal devices, automation between presses (by robots, feeders, transfer feeders, etc. 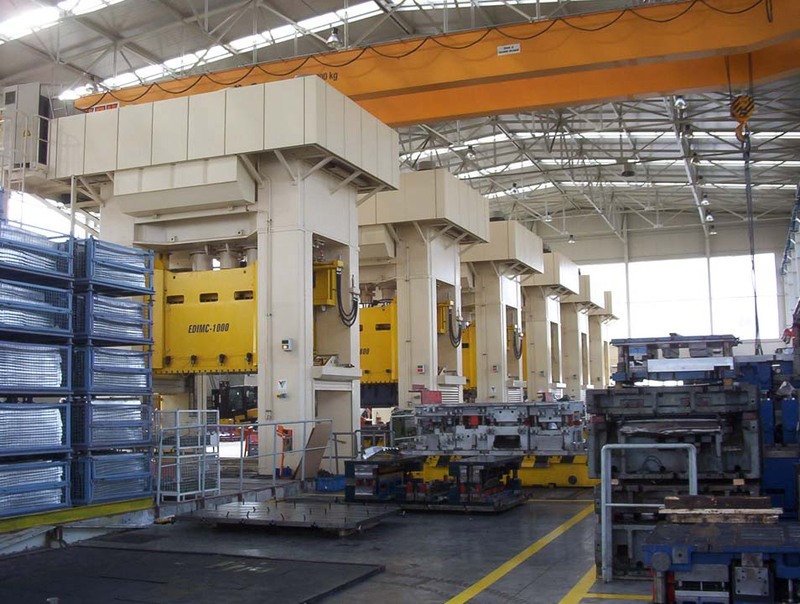 ), blanks loading area "Destacker", parts unloading area, among others. 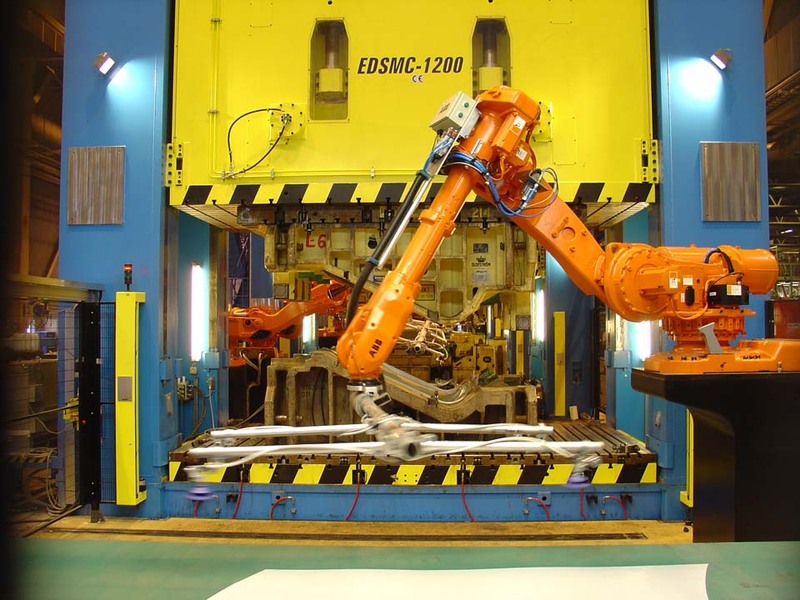 Robot-controlled line to manufacture car replacement parts with four hydraulic presses (1 x 20,000 kN and 3 x 12,000 kN). 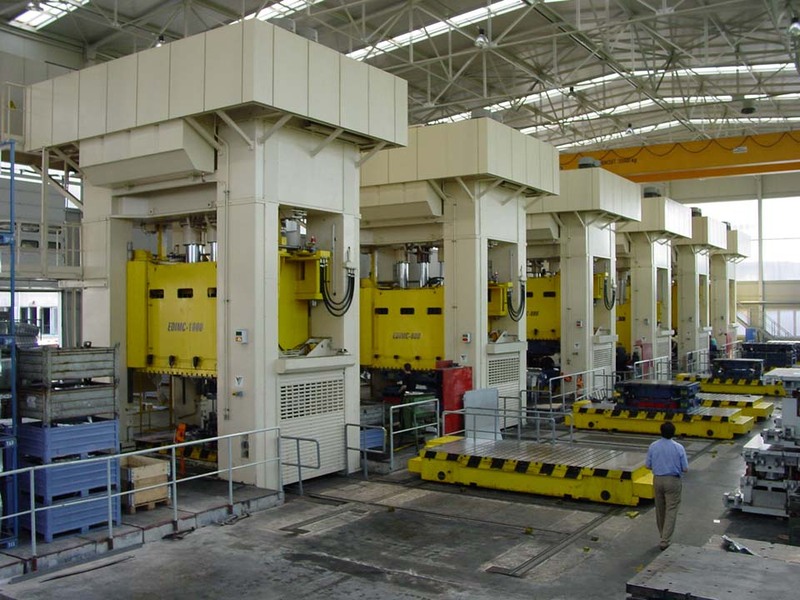 Line to manufacture car parts with seven hydraulic presses (4 x 8,000 kN and 3 x 10,000 kN) with two T-track side moving bolsters per press. 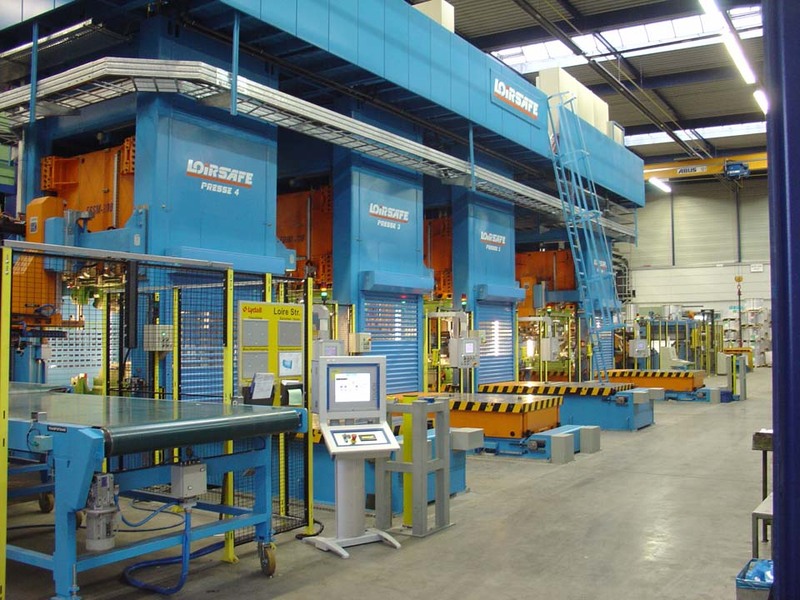 Automated line to manufacture thermal and acoustic insulation parts with four hydraulic presses (1 x 2,500 kN and 3 x 2,000 kN) with two side moving bolsters per press. 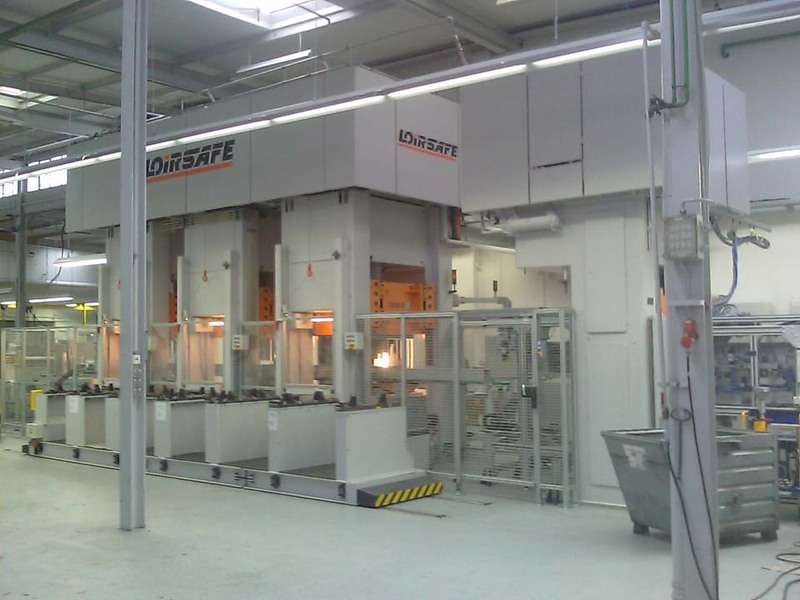 Automated line of three hydraulic presses to manufacture pressure cooker lids.